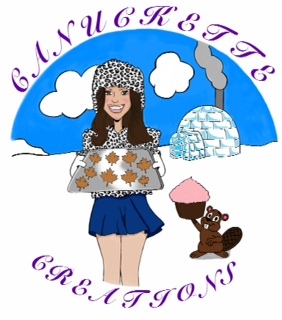 Just a short little post tonight since I have a LOT on my mind, and no not fun stuff like baking :( *sigh*. Today was a good day for the most part, I spent most of it with my grandparents and had some good news come out of it. Nope I will not being sharing with y'all today, but when everything is set in motion I will share like no tomorrow. As usual I made them dinner which makes me happy, especially because my grandmother eats a lot better when I do the cooking :) I don't know why she does, but whatever get her proper nutrients is okay with me! Since she picked out pre seasoned chicken I had to get more creative with the potatoes. This is a little trick I learned while watching an info video of Gordon Ramsay, since he is one of my favorite chefs I love trying out his techniques. 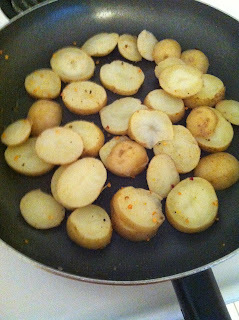 1) Cut the potatoes into semi thick slices, and soft boil them until they are almost soft. You want to leave them slightly under cooked as you will be finishing them in the frying pan. 2) Drain the water and transfer to a frying pan with a small amount of olive oil in it. Season them as you'd like, then start frying them over medium heat. 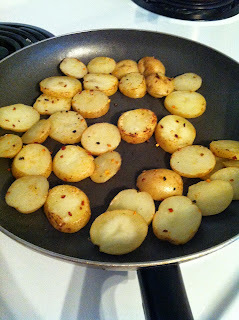 3) As they are cooking toss them in the pan. Continue doing this until they start to crisp on the outside. 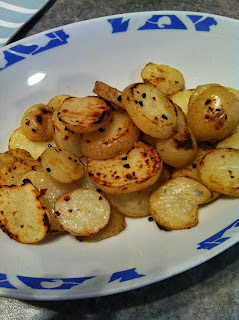 These are very simple, yet tasty potatoes. They're perfect for the people that don't care for mashed potatoes (they are out there), and they are more tasty then plain boiled ones.